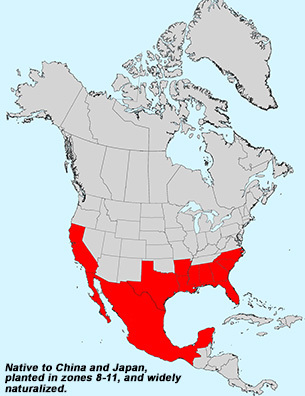 Leaf:Alternate, simple, ovate to orbicular in shape, long pointed tip, wedge shaped base, entire margins, 2 to 3 1/2 inches long, green above, slightly paler below, smooth on both surfaces. 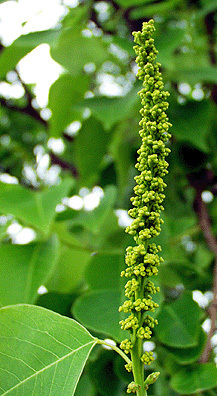 Flower:Borne on 2 to 3 inches slender yellow-green catkins, female flowers appear at the base of the cluster, appearing in late spring to early summer. 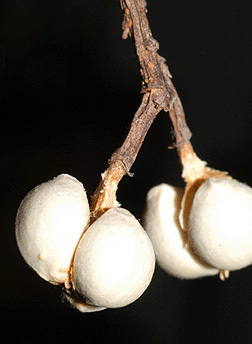 Fruit:Nearly round 3-lobed brown capsules, 1/2 inch in diameter, when mature the outer part splits revealing 3 white waxy seeds, matures in late summer to early fall. 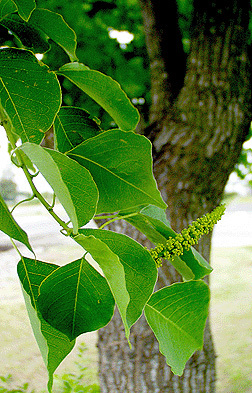 Twig:Slender, green, turning a light brown, speckeled with lenticels, buds and leaf scars small. 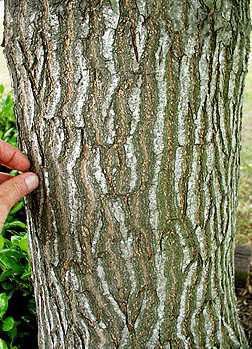 Bark:Light reddish-brown to gray-brown, fissured with flat-topped ridges. 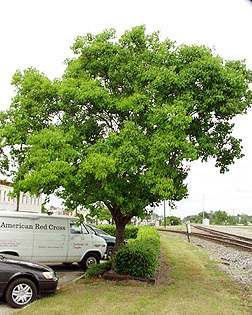 Form:Medium sized tree to 50 feet, with a broad pyramidial, open crown.